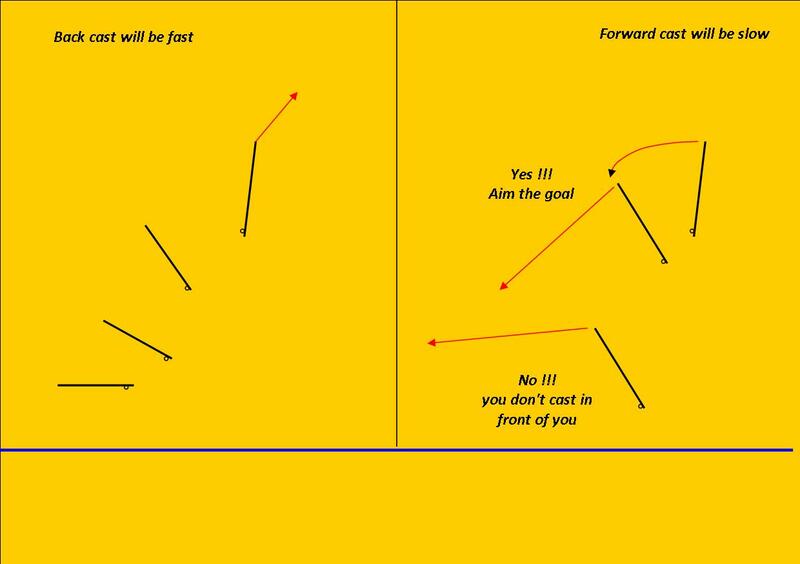 An extremely effective cast is the Slowed down Angular cast or Piled up cast. 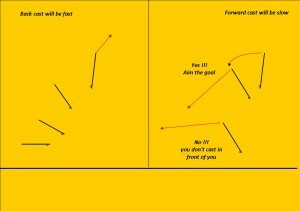 Firstly you should not mistake this with the old piled up cast that had the finality to pile up the line where the current is faster. The slowed down angular or piled up cast lets you deposit your leader not in the faster current but in the place where you intend placing your fly. 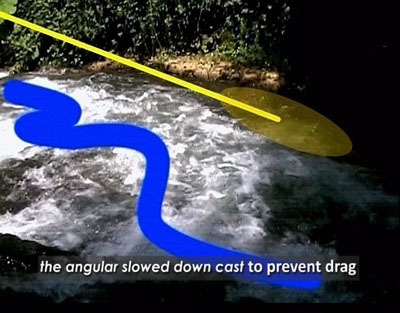 There is a big difference even though it is easy to confuse the names because the old piled up cast with the leader in the fastest part of the current was much less effective because the moment the line touches the water, it gets dragged away downstream thus reducing its efficiency. The slowed down angular cast has the scope to get over the fastest currentand to pile up the leader in the place where we presume the trout to be in the slowest part. The Slowed down angular cast is executed when between the fisherman and his goal there is a very fast current. The operation is very simple and consists in slowing down the casting movement operating with the rod held very high and with a very short arch. Once you have taken your aim and tighten your loop as much as possible to concentrate everything in a small space, you let the line go down to the water by inertia so that part of the line and the whole leader pile up. Also in this case you need to release your left hand very early. 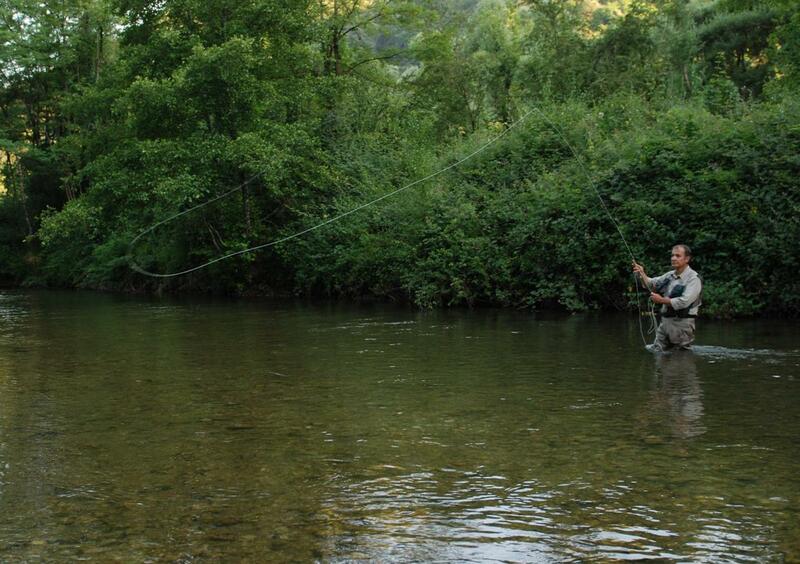 At the end your line and leader will pile up in the faster current and this will delay the drag considerably.